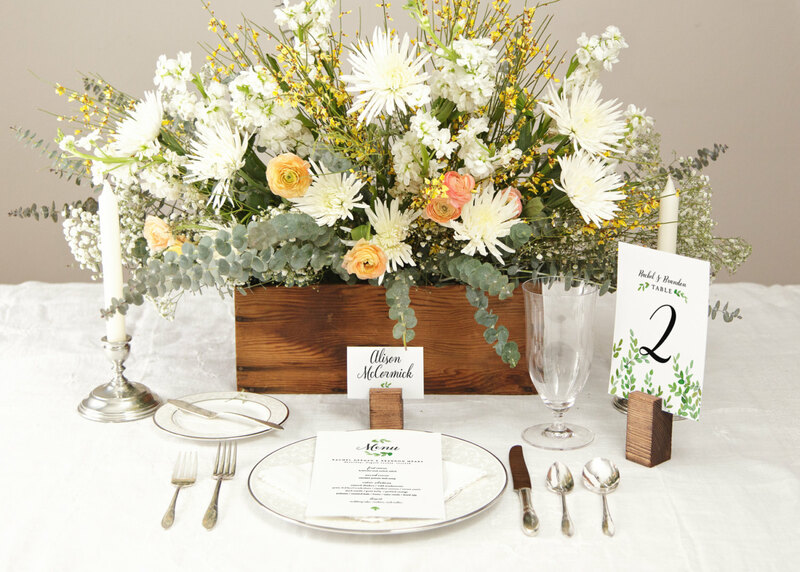 A beautiful botanical branches collection of wedding invitations, save-the-dates, and day-of items. 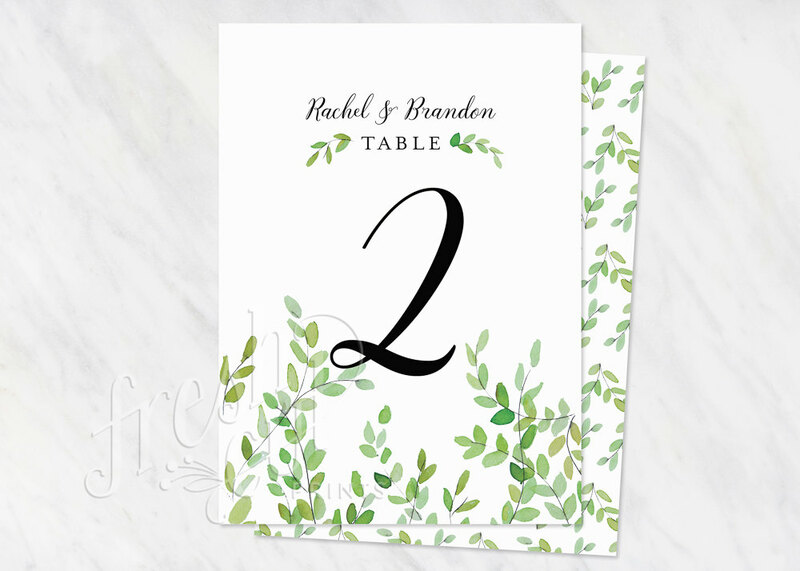 This listing is for printed table numbers and are sold with a minimum order of 10 table numbers. Once you’ve placed your order, please send me any special requests for your table numbers. Within 1-3 business days, you will receive a digital proof. Once you’ve approved your proof, you can expect to receive your printed cards in 7-10 business days. You will receive your cards printed on your choice of 100% cotton paper, shimmer paper, or linen stock (to view paper information visit http://frshct.us/paper). Cards are 5"x7" size. Seller easy to work with. Shipped quickly and just as pictured.